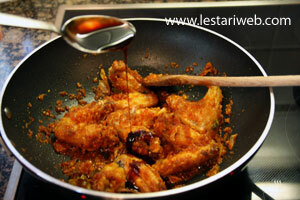 To get the optimum result, use only the original Indonesian sweet soy sauce or known as Kecap Manis. This sauce is thick, sweet and contains almost no salt. This is the simple trick to recognize it's originality: 1. 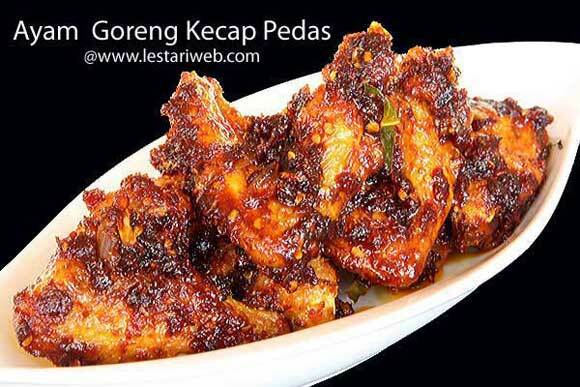 They usually label it completely "Kecap Manis or Ketjap instead of Indonesian sweet soy sauce only". Put the chicken in a bowl. 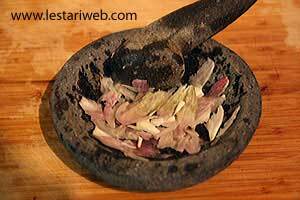 Rub and mix with salt, pepper and lime or lemon juice. Keep aside in a refrigerator for 15 minutes. 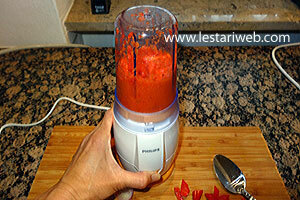 Put all ingredients for the paste except shallots in a wet mill/grinder and grind/blend until smooth. Pound the shallots just roungly. Put aside. 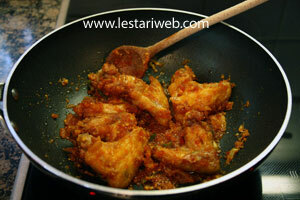 Heat 50 ml oil in a frying pan, fry the chickens until golden brown. Set aside to drain. Heat 2 tbsp used oi in another pan, stir fry/sautee the shallot until transparent & fragrant. 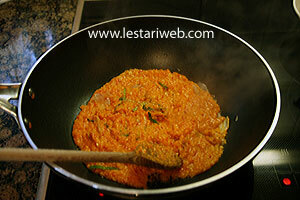 Add the paste and kaffir-lime leaves. Stirring all the time until well cooked & fragrant (approx. 3 minutes)). 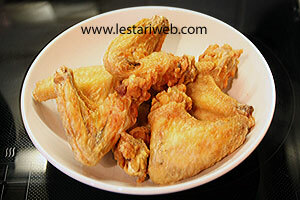 Add the fried chicken wings. Stir to mix. 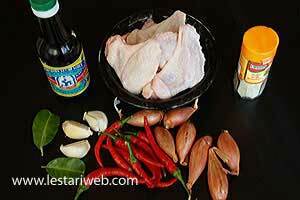 Add kecap manis and cook for a while on low heat until the paste is being absorbed into the chicken. Adjust the seasoning, add salt or sugar if necessary. Serve right away with rice.